(Newser) – On Monday, Starbucks announced it would increase worker wages; on Tuesday, the company announced it would also increase the cost of some of its drinks. The two developments are unrelated: As Fortune notes, the price hikes (between 10 and 30 cents per beverage) are thanks to rising coffee costs, not increased worker pay. 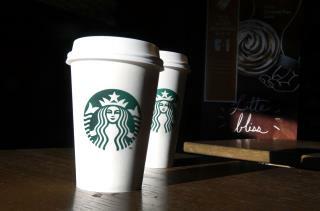 (And prices on 65% of Starbucks beverages will not change.) As for the wage bump, the company said employees will receive raises of at least 5% effective Oct. 3, the Chicago Tribune reports. They don't hire redheads? Well, that insures that I will never go there. Higher profits too, i'm sure.